This is the Daddy of all synthetic shaving brushes. It benefits from a 30mm knot. This Big Jock Synthetic Shaving Brush benefits from very generous dimensions, super soft generation 2 synthetic fibres and a traditional black coloured resin handle. As you would expect this large size shaving brush makes light work of lathering up hard shaving soaps and shaving creams. The new generation of synthetic fibres are incredibly soft, softer than even a badger silvertip hair brush, yet this shaving brush has significant backbone due to the density of hair, meaning this brush will lather up shaving soaps, creams with ease. It won’t flop about like an old emulsion paint brush the way some badger hair brushes do. The handle is an elegant shape, one that fits easily into the hand delivering a firm grip even when wet. This Big Jock synthetic shaving brush comes to you in a smart, Executive Shaving branded presentation box. The super soft fibres are incredibly soft, softer than badger silvertip brushes, yet they have significant backbone. This makes them ideal for lathering up hard shaving soaps and creams. Be gentle with Big Jock, he's a big guy but even big guys need some tender, loving care. The golden rule is to avoid using hot water, warm and cold water is fine but hot water can damage the brush by loosening the knot of hair in the handle. 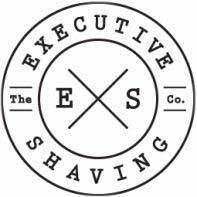 Read our our shaving brush care guide and watch the video above. Fantastic value for money. A large size Generation 2 synthetic fibre brush for only £55.00. What a bargain. The super soft fibres make this brush suitable for all skin types including those with sensitive skin. More and more wet shavers are enjoying the benefits of synthetic brushes; give it a go. You won’t be disappointed.